THERE ARE LOADS OF THINGS FOR YOUNG PEOPLE TO DO! 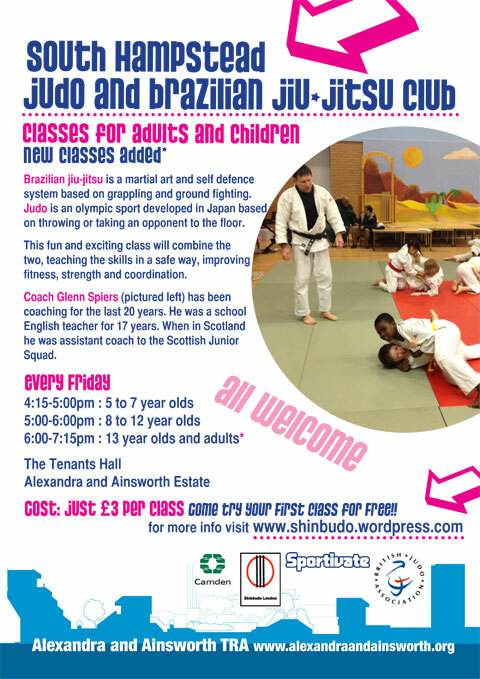 BJJ and Judo in The Tenants Hall Every Friday 4:15-5:00pm for 5 to 7 year olds; 5:00-6:00pm for 8 to 12 year olds and 6:00-7:15 pm for 13 year olds and adults. Only £3 per class @ the Tenants Hall. Taught by a highly experienced teacher. Come along and give it a try. Anyone is welcome to join the class. 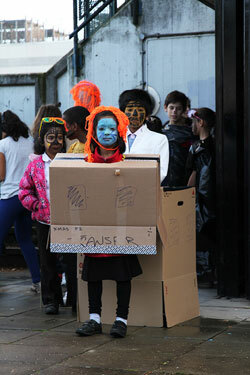 In 2010 young people made a documentary film with older residents. The fantastic team at Families in Focus are going to be running a brilliant after school club in the Tenants Hall and it’s all free. There will be a focus on fun and creative activities. Every Monday from 4.30pm to 6pm. This if for children of primary school age only. Call Elaine on 020 7974 1957 to find out more, and please see our timetable page. 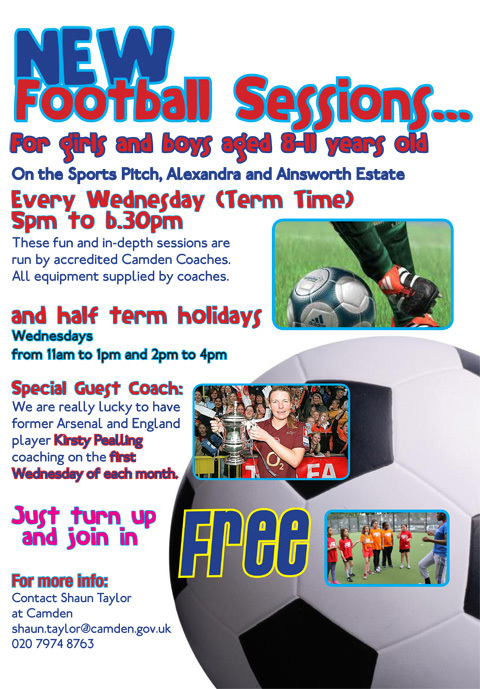 Arsenal run very popular football sessions on the football pitch on the Estate. These take place on the football pitch at the Abbey Road end of the estate every Tuesday and Friday. No need to book, just turn up – and they are FREE! For any kids interested in any aspect of music production, our very own Youth Club, the ARC, now has a full studio and a teacher. They started running music courses. For further information please contact Suzzette Williamson on 020 7974 8201 or 020 7624 8935. If you are interested in any of the classes below just turn up and speak to the teacher. There are currently some spaces available in all of the classes. For primary school age children. Poster and comic design, films, and a big welcoming party. Starts Monday January 14th. Just turn up. - KICKZ- Arsenal run these popular football training sessions for young people in the area on our fantastic new football pitch. Fun and friendly mother and baby/toddler support group. The wider community is welcome where space allows. First class free then only £3 per class. Come along to the Tenants Hall between 10am and 1pm. The food co-op is on and there are usually kids around playing, drawing, a book swap and reading.